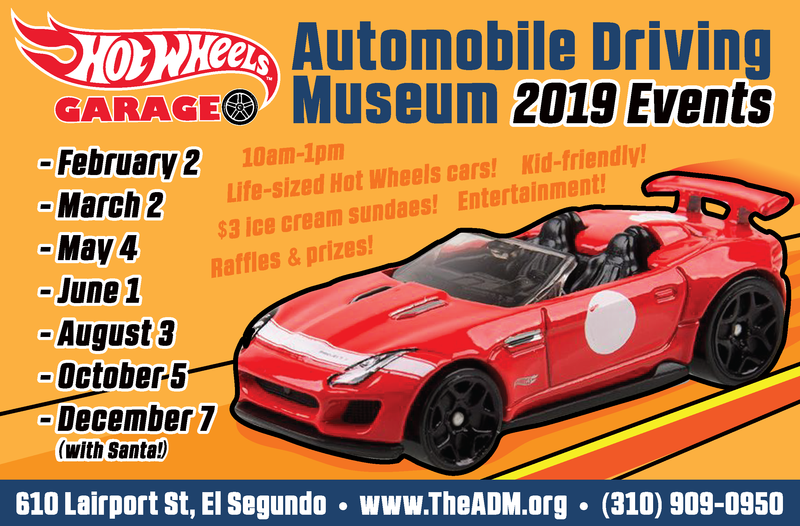 As the Automobile Driving Museum grows and matures, we are presented with new and exciting opportunities almost every day. Having the famous Hirohata Mercury and “Dreamsicle” Pontiac displayed together under our roof is proof of that. If you have read the previous article in this newsletter about our experience at the Carmel Mission Classic, you are already clued into how this history making exhibit came to be. In short, while at the Carmel Mission Classic, Tara Hitzig, Greg Gill, and myself ran into John D’Agostino, the owner of these two world famous customs. After a brief conversation and a handshake, it was decided that the two cars would be transported to the ADM after the Cruisin’ 4 a Cure car show that was to happen in another month from our initial meeting. Fast forward to the day of the Cruisin’ 4 a Cure car show. Marisol Rios, our operations manager, arrived at the show in the morning to do some standard promotion and PR work. In the hours she was there she never did find the two customs that were on display. That alone should give the impression of how large this show really is. After spending the majority of the day at the show, the baton was passed to me. I arrived at the show some time around 2pm and spent the next hour trying to locate the cars and John D’Agostino. The day before we had arranged for a transporter to pick up the cars at 5pm to be taken to the museum. After another three hours of talking with people about the museum the transporter finally arrived and loaded both cars. With another hour and a half of traffic ahead of us heading back to El Segundo from Costa Mesa, we all knew there was a long night ahead of us. Both cars arrived at the museum well after sundown, around 8pm. 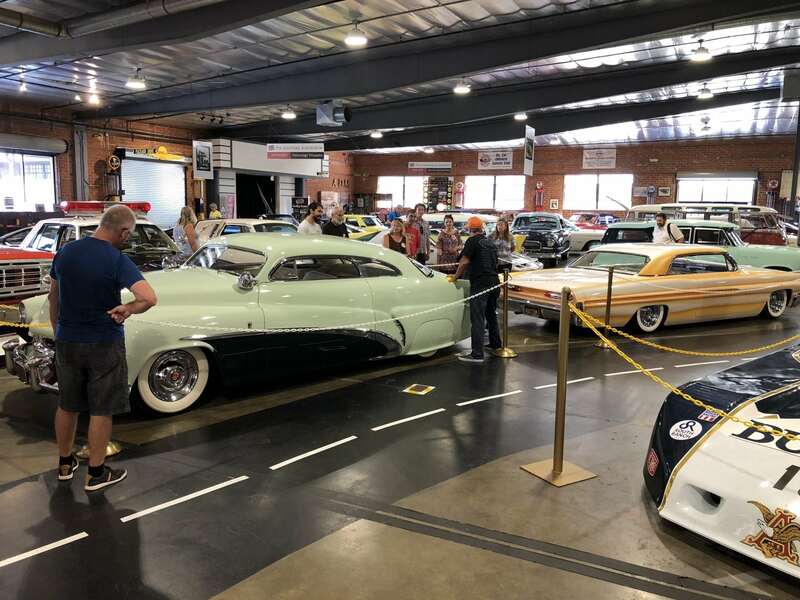 Accompanied by an entourage of people, including John D’Agostino, both cars were unloaded and staged in the museums Packard Ballroom to be placed in their predetermined exhibit space the next morning. Many photos and laughs later, the light went out and gates locked to be back bright and early the next morning. Sunday morning, the 23rd of September, I arrived at the museum at 8am to get the exhibit space ready to accept the cars. 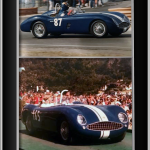 Shortly thereafter Greg Gill, John D’Agostino, and automotive journalist and photographer Scott Martin arrived to film the placement of the two cars on the museum floor and conduct an interview. John placed the first car, the Hirohata Mercury, followed by my having the great honor of driving the “Dreamsicle” Pontiac onto the display floor. Now displayed behind gold stations and white ropes the ADM proudly presents to the public for the last time two of the most iconic customs to ever grace the display floors of museums and car shows nationwide. Both cars are on display at the ADM for a limited time as both cars are destined to ship out overseas to travel show circuits in Europe, Asia, and many other fabulous places that have never had the privilege of seeing these cars in person.  Since 1985 the Hirohata Mercury alone has attended over 700 car shows in the United States. It has been decided that the cars should be appreciated on a global scale and will be overseas for the foreseeable future. 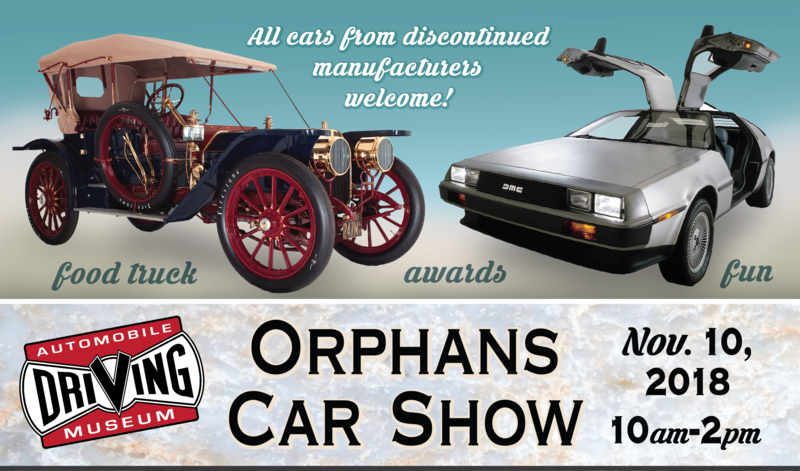 Don’t miss your chance to see these cars one last time here at the ADM before their big journey!